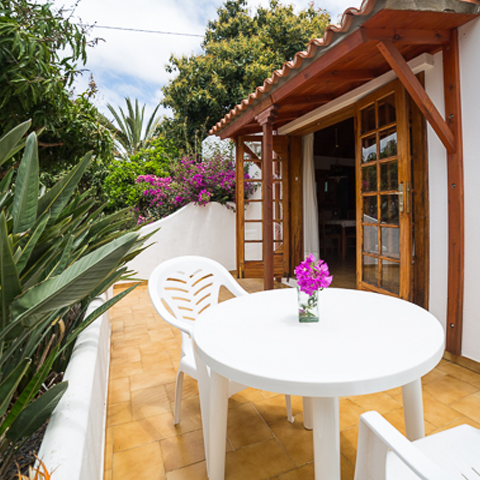 An apartment in the main house with space for two people and a shady terrace. 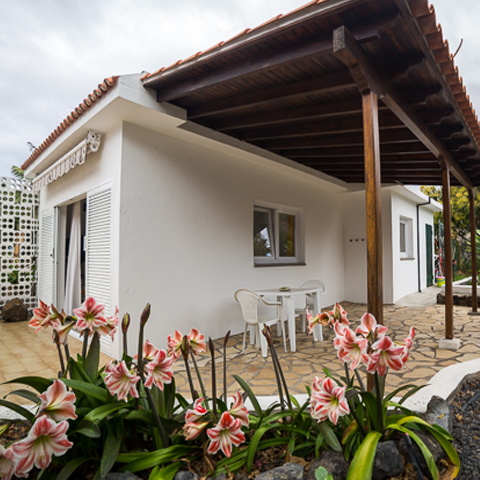 Duplex apartment in the main building, where four people can spend a relaxing holiday. All rooms are in the middle of an avocado and mango biological fields. We are at your complete disposal all day long. The installations are situated in a quiet street with a rural environment. Bedding and towels are changed once a week by order. 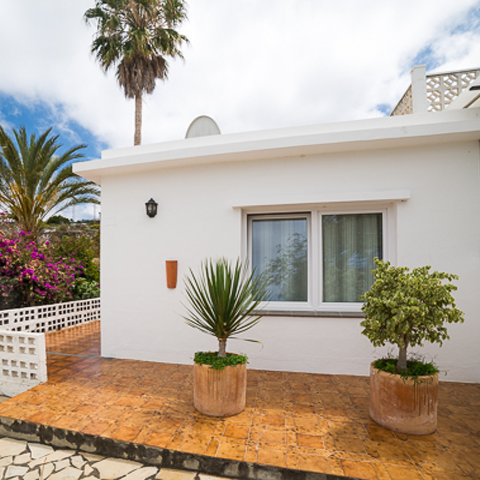 All apartments have free wifi inside and but also in the terraces. The complex is the ideal place for groups. The four apartments have capacity for 12 people. Where is the nearest bus station and how far is it from here? Where is the nearest hiking route? Can I eat the Finca Cruz Chica’s fruits? Casa Ficus, Casa Hibiscus, Casa Mango y Casa Papaya are not named after trees, flowers or fruits for no reason. 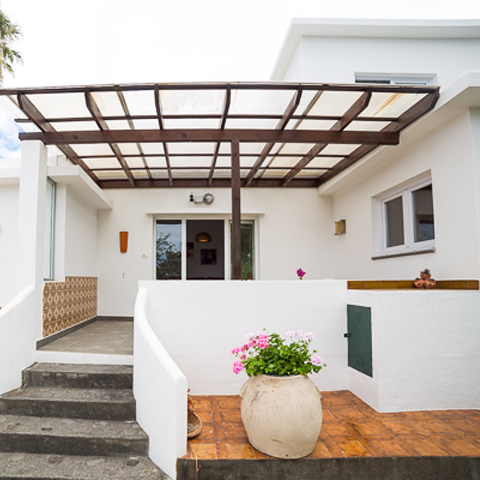 They were named this way because these four houses located in the sunny west side of the Canarian island of La Palma are right in the middle of a great tropical garden. In the Finca Cruz Chica you will always be welcomed and you can feel at home. The Palmeros call Cruz Chica the place where our farm is located. That is the reason why we called our complex this way. The name comes from a little cross, where the locals put up flowers and maintain it.